Welcome to https://loriaandrus.com. The https://loriaandrus.com website (the “Site”) is comprised of various web pages operated by Lori A Andrus – Journey Jewels (“Journey Jewels”). https://loriaandrus.com is offered to you conditioned on your acceptance without modification of the terms, conditions, and notices contained herein (the “Terms”). Your use of https://loriaandrus.com constitutes your agreement to all such Terms. Please read these terms carefully, and keep a copy of them for your reference. https://loriaandrus.com and http://journeyjewels.com is a E-commerce Site offering handcrafted gemstone jewelry and spiritual and personal empowerment programs and services both online and in person. All services and digital products are non-refundable. 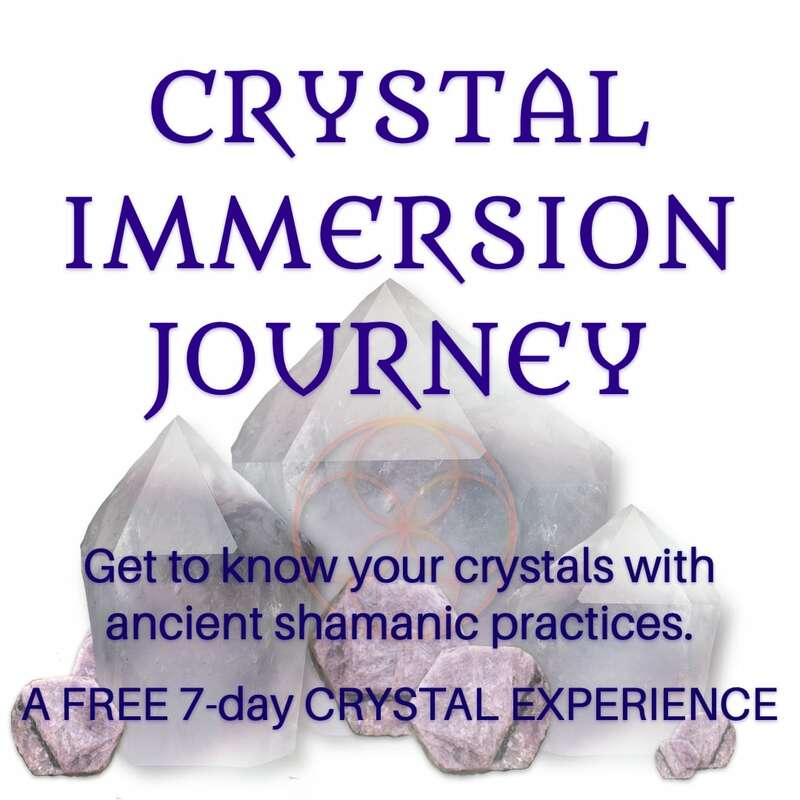 Longer programs such as the Journey Jewels Certification, The Rooted Woman, The Crystal Medicine Wheel, Crystal Shaman School, and The Priestess Pathway offer specific refund and cancellation policies. It is expected that you have thoroughly read and kept a copy of that agreement upon your registration. legends or other restrictions contained in any such content and will not make any changes thereto. You agree that participation in all programs and services is for your personal use only. You will not modify, publish, transmit, reverse engineer, participate in the transfer or sale, create derivative works, or in any way exploit any of the content, in whole or in part, found on the Site. Journey Jewels content is not for resale. Your use of the Site does not entitle you to make any unauthorized use of any protected content, and in particular you will not delete or alter any proprietary rights or attribution notices in any content. You will use protected content solely for your personal use, and will make no other use of the content without the express written permission of Journey Jewels and the copyright owner. You agree that you do not acquire any ownership rights in any protected content. We do not grant you any licenses, express or implied, to the intellectual property of Journey Jewels or our licensors except as expressly authorized by these Terms. enable you to communicate with the public at large or with a group (collectively, “Communication Services”), you agree to use the Communication Services only to post, send and receive messages and material that are proper and related to the particular Communication Service. have received all necessary consents; upload files that contain viruses, corrupted files, or any other similar software or programs that may damage the operation of another’s computer; advertise or offer to sell or buy any goods or services for any business purpose, unless such Communication Service specifically allows such messages; conduct or forward surveys, contests, pyramid schemes or chain letters; download any file posted by another user of a Communication Service that you know, or reasonably should know, cannot be legally distributed in such manner; falsify or delete any author attributions, legal or other proper notices or proprietary designations or labels of the origin or source of software or other material contained in a file that is uploaded, restrict or inhibit any other user from using and enjoying the Communication Services; violate any code of conduct or other guidelines which may be applicable for any particular Communication Service; harvest or otherwise collect information about others, including e-mail addresses, without their consent; violate any applicable laws or regulations. Journey Jewels reserves the right at all times to disclose any information as necessary to satisfy any applicable law, regulation, legal process or governmental request, or to edit, refuse to post or to remove any information or materials, in whole or in part, in Journey Jewels’s sole discretion. or our associated services (collectively “Submissions”). However, by posting, uploading, inputting, providing or submitting your Submission you are granting Journey Jewels, our affiliated companies and necessary sublicensees permission to use your Submission in connection with the operation of their Internet businesses including, without limitation, the rights to: copy, distribute, transmit, publicly display, publicly perform, reproduce, edit, translate and reformat your Submission; and to publish your name in connection with your Submission. remove any Submission at any time in Journey Jewels’s sole discretion. accessed through https://loriaandrus.com or https://journeyjewels.com in any country or in any manner prohibited by any applicable laws, restrictions or regulations. violation of any rights of a third party, or your violation of any applicable laws, rules or regulations. Journey Jewels reserves the right, at its own cost, to assume the exclusive defense and control of any matter otherwise subject to indemnification by you, in which event you will fully cooperate with Journey Jewels in asserting any available defenses. permitted by law, this agreement is governed by the laws of the State of Wisconsin and you hereby consent to the exclusive jurisdiction and venue of courts in Wisconsin in all disputes arising out of or relating to the use of the Site. Use of the Site is unauthorized in any jurisdiction that does not give effect to all provisions of these Terms, including, without limitation, this section. performance of this agreement is subject to existing laws and legal process, and nothing contained in this agreement is in derogation of Journey Jewels’s right to comply with governmental, court and law enforcement requests or requirements relating to your use of the Site or information provided to or gathered by Journey Jewels with respect to such use. If any part of this agreement is determined to be invalid or unenforceable pursuant to applicable law including, but not limited to, the warranty disclaimers and liability limitations set forth above, then the invalid or unenforceable provision will be deemed superseded by a valid, enforceable provision that most closely matches the intent of the original provision and the remainder of the agreement shall continue in effect. communications and proposals, whether electronic, oral or written, between the user and Journey Jewels with respect to the Site. A printed version of this agreement and of any notice given in electronic form shall be admissible in judicial or administrative proceedings based upon or relating to this agreement to the same extent an d subject to the same conditions as other business documents and records originally generated and maintained in printed form. It is the express wish to the parties that this agreement and all related documents be written in English. https://loriaandrus.com is offered. The most current version of the Terms will supersede all previous versions. Journey Jewels encourages you to periodically review the Terms to stay informed of our updates.